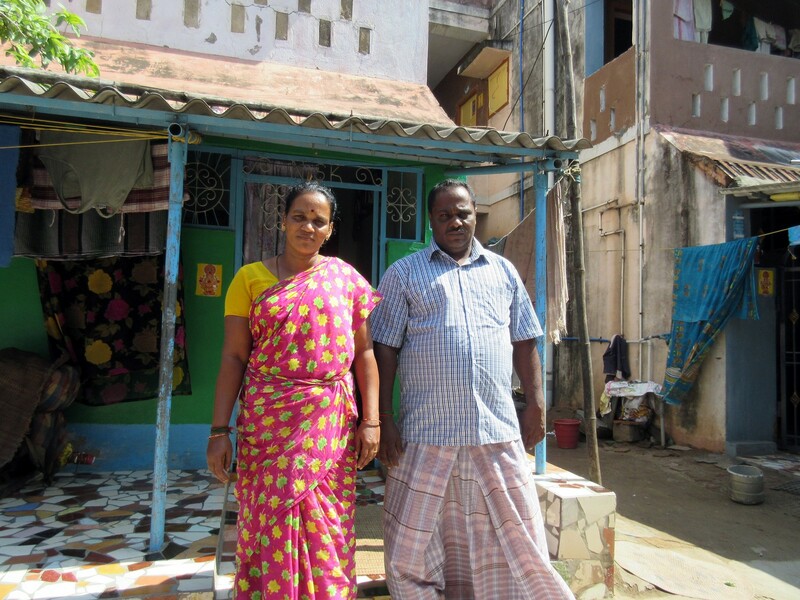 When he lost his three children to the tsunami on what was his 40th birthday, engineer K Parameswaran (in blue shirt) and wife Choodamani (in peach sari) opened their large home to children orphaned by the hungry tide. They now have 37 wards, including those who lost parents more recently, as well as two sons of their own. My rented car comes to a halt along a dusty, derelict village road lined by small stores hawking biscuits and bottled water. Skinny black goats graze by the wayside. A thin, greying man sits alone on a boulder, idly eyeing the afternoon traffic. "This is the closest we can get to Nallavadu beach, Madam," my driver Jaiprakash Kalirajan, 40, says, looking up from the GPS app on his Samsung phone. "Do you have an address for where you have to go?" All I have are a million memories. And a 10-year-old photograph of a grim-faced young woman sitting with two small boys before their wrecked beachside hut. 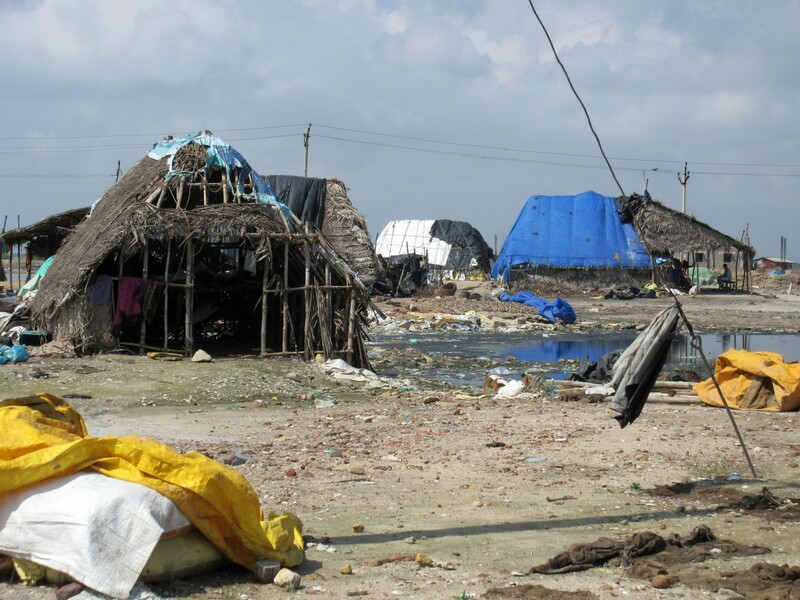 Days after the Indian Ocean tsunami pulverised thousands of coastal hamlets in more than 14 countries a decade ago, I visited Tamil Nadu's Coromandel Coast, which bore the brunt of the disaster in India. More than 18,000 people died there, mostly in the coastal towns and villages known till then for beautiful beaches and fresh seafood. I returned there last week, hoping to catch up with the survivors I met and wrote about in this newspaper immediately after the tragedy and, once more, a year later, in December 2005. But I have no address. I hold out the photograph to the man on the boulder, asking in broken Tamil: "Do you know her?" 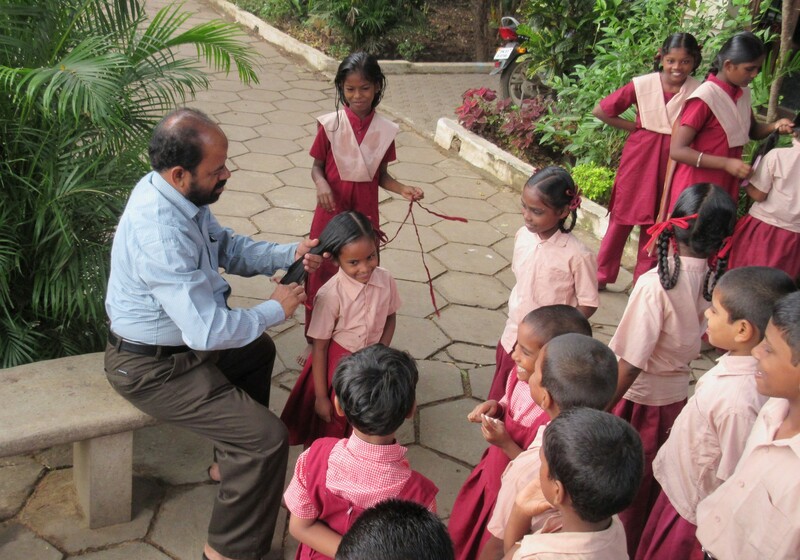 Mr K. Selvan peers intently at the photo and seconds later looks up, yelling excitedly in English: "Tsunami! Tsunami!" He gestures for us to follow him. 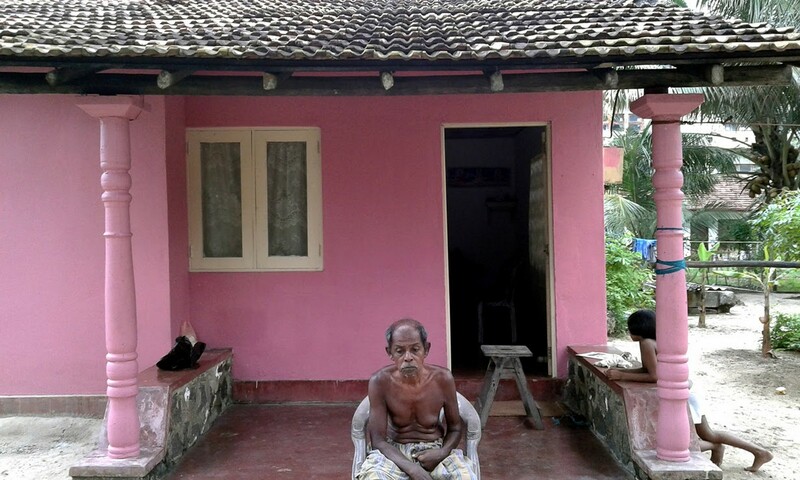 A decade ago, Ms Vijaylalitha Kandan was on her haunches, sifting furiously through wet debris in her wrecked thatched hut, searching for the phone number of her husband, B. Kandan, an electrician who worked in Singapore. The Straits Times ran a pair of stories and photographs about the couple's plight, describing the homeless mother with two young sons in India, and her husband's anguish at being unable to go to his family. Their story struck a chord with readers. 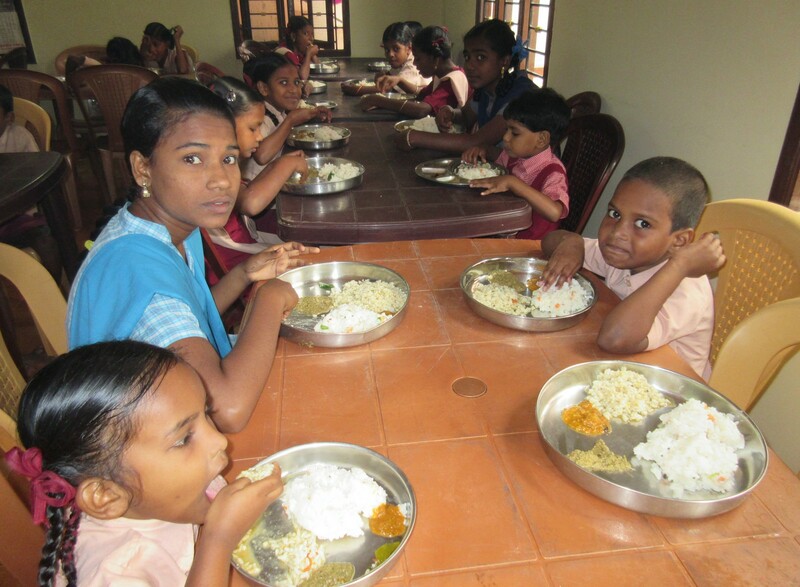 Thanks to their generosity, Mr Kandan was able to go home by mid-January 2005, armed with an air ticket, a bagful of clothes and around $7,500 in cash. Madam Vijaylalitha with sons Ashwin (centre) and Abhi. Earlier this year, the family moved into this impressive two-storey home, which took more than $50,000 and ten years to build. A thatch hut less than 50 m away from the Kandans' impressive home. 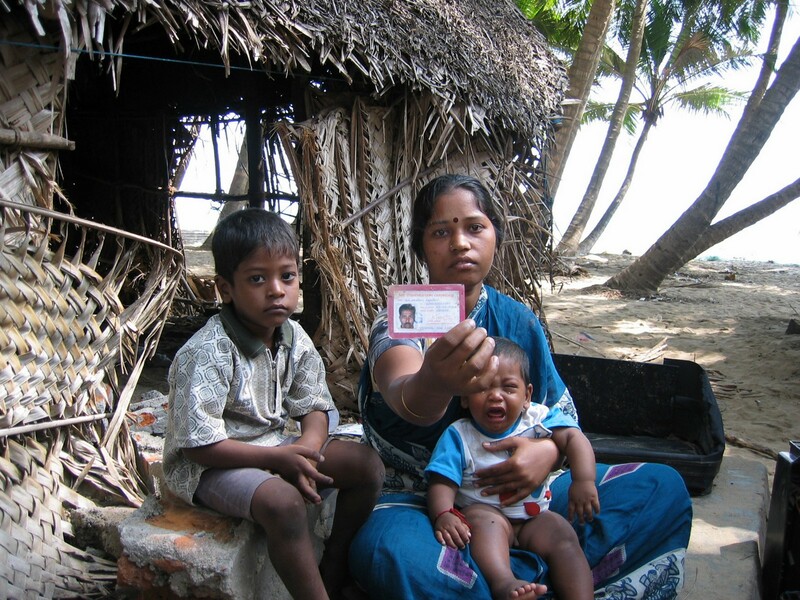 Ms Kumari Sivakumar, 38, who lost both her children - daughters Nithya, seven, and Sandhya, four - to the killer waves in 2004. Her son Kamalesh, now a cherubic nine-year-old who "loves to study", has given the housewife and her fisherman husband N. Sivakumar, 40, new reason to live. But ten years after the tsunami, her face is still bereft of a smile as the pain of losing two young daughters lingers on. 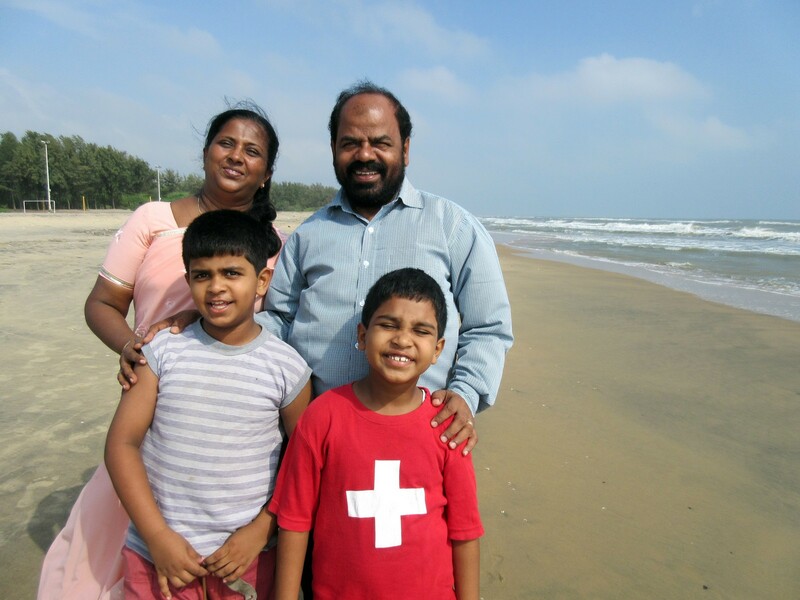 Mr K Parameswaran was doing well as an engineer and a happily married father of three until he lost all his children and seven relatives to the killer waves. They have since opened their home to 37 orphaned children since and have also been blessed with two sons of their own, Shemayiah, 9 (left) and Michaiah, 7. 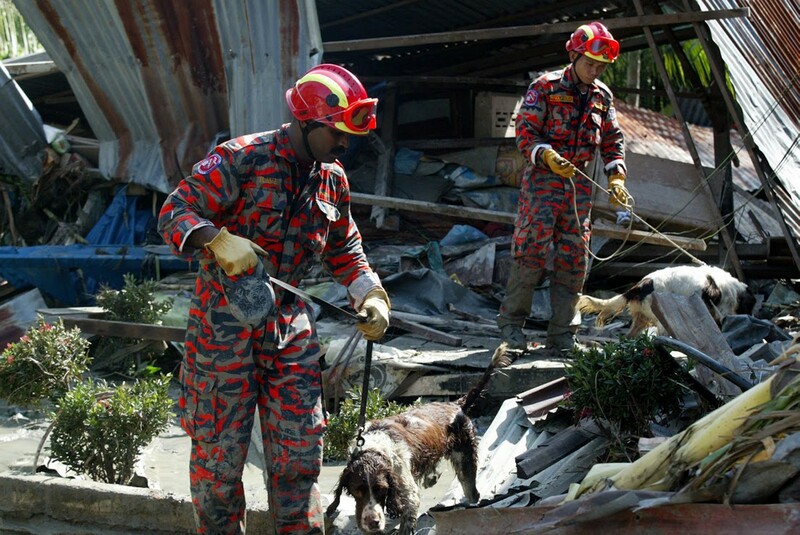 Their fierce faith and courage in the face of calamity have won many admirers and accolades. And laughter has returned to their home. 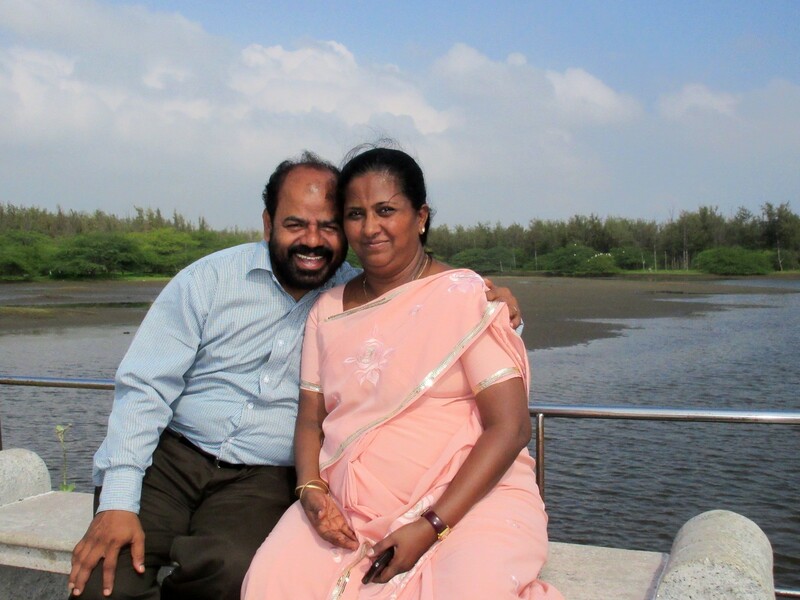 Today, Mr K Parameswaran and his wife have 37 wards. "Imagine having 39 kids of your own," he laughs. 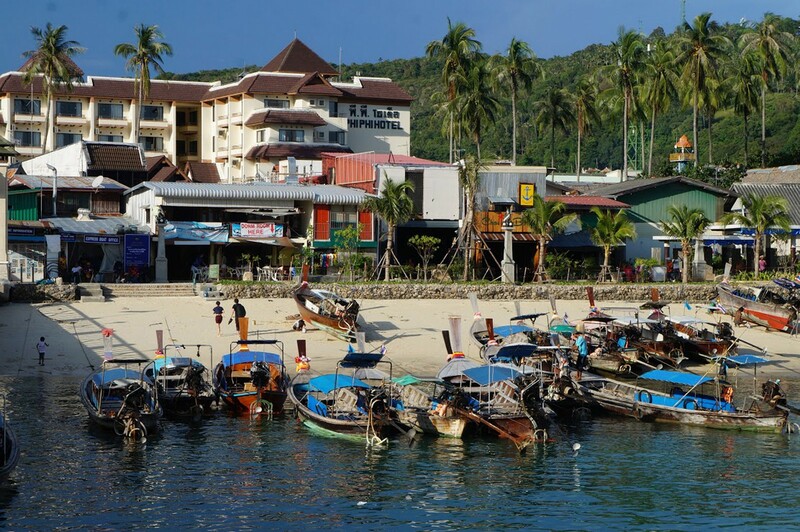 Before the tsunami, most fishermen lived in thatch huts on the beach. 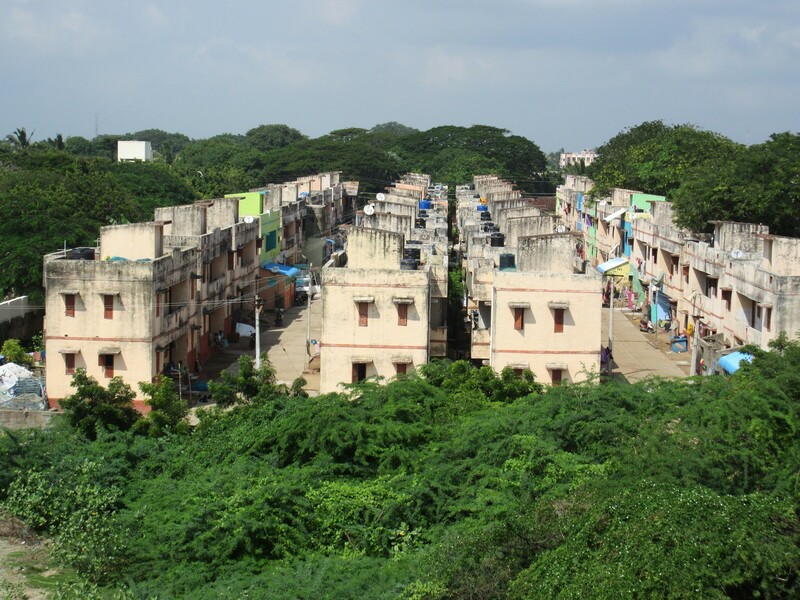 Homes built for tsunami survivors in Akaraipettai village in Nagapattinam, which bore the brunt of the tsunami in mainland India. 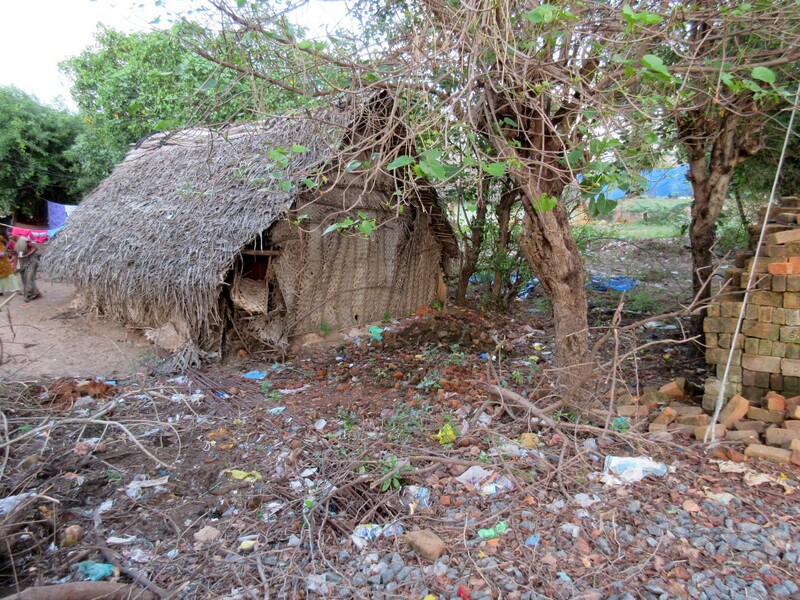 The old beachside huts on Akaraipettai beach have fallen into disuse. 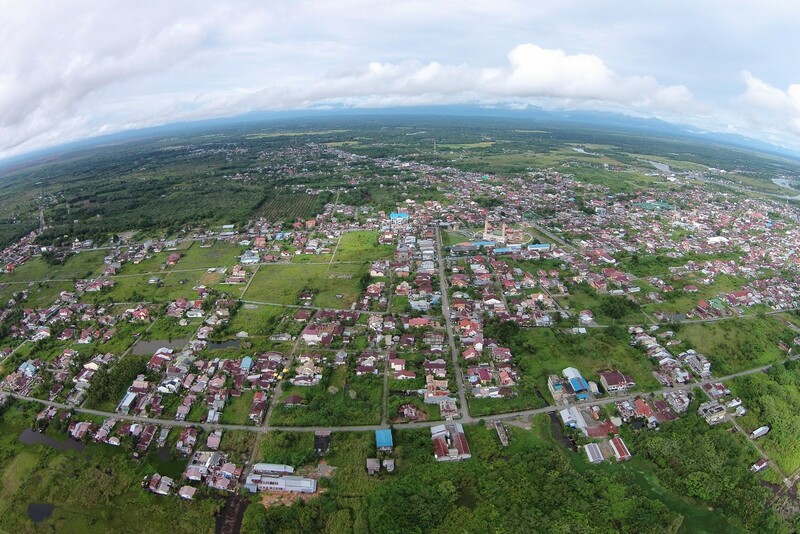 Meulaboh town in Indonesia was devastated during the 2004 tsunami. 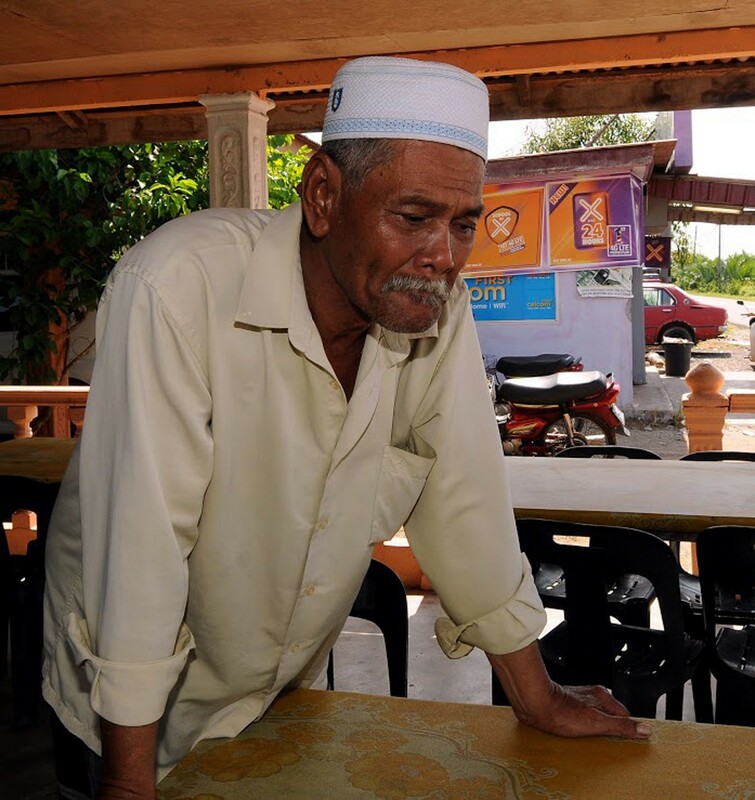 Mr Sablin Ahmad, 61, a fisherman, is sad as he recalls the death of his daughter, who died during the Dec 26, 2004 tsunami struck his village. 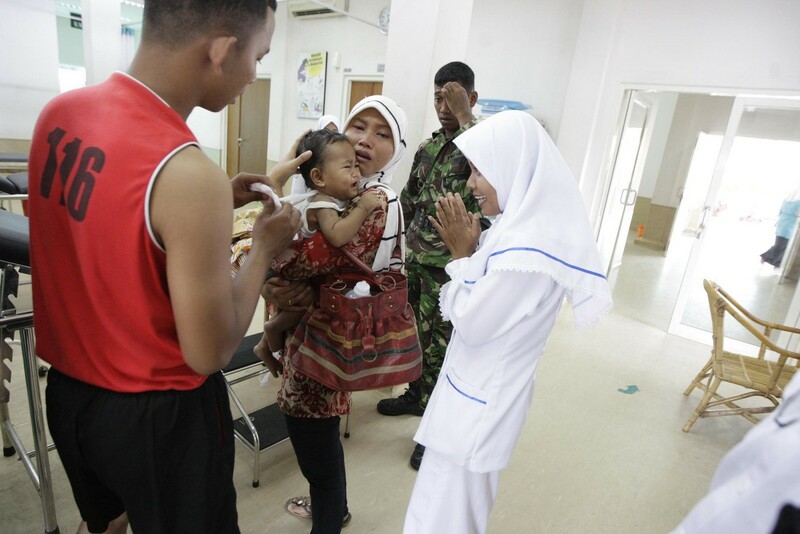 She was supposed to be receiving her examination results. 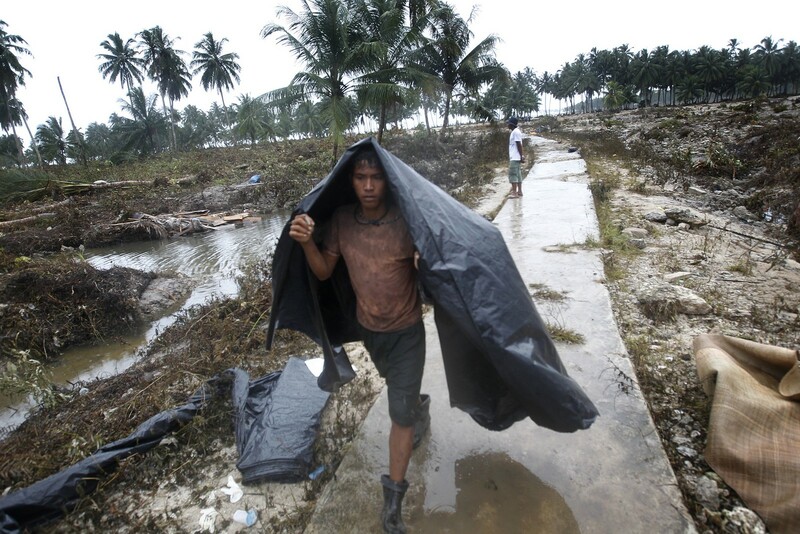 Meulaboh residents along the Ujung Karang beach. 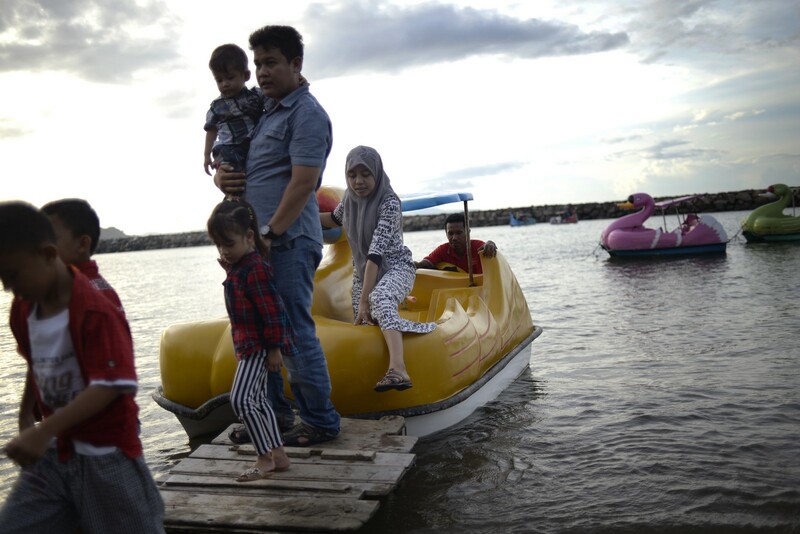 A woman and her family alight from a paddle boat at beach in Banda Aceh. 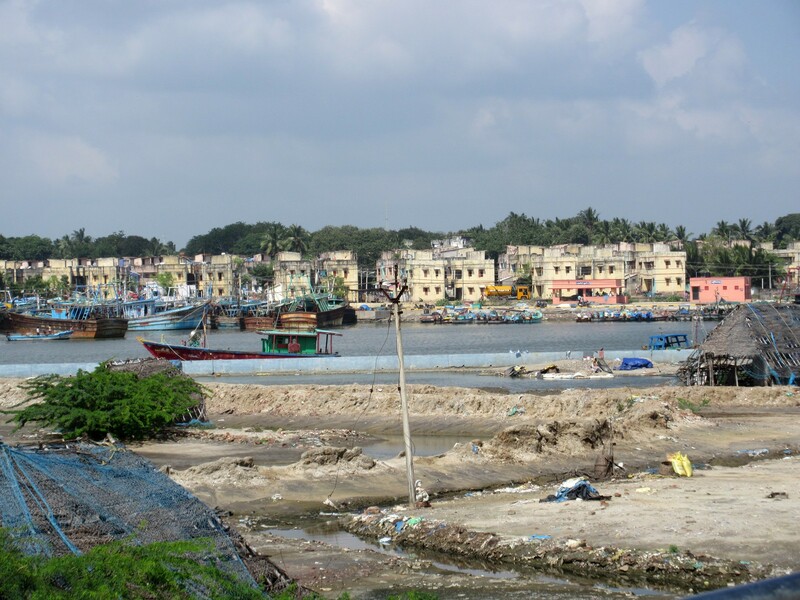 The beach used to house workshops before the 2004 tsunami levelled the grounds. 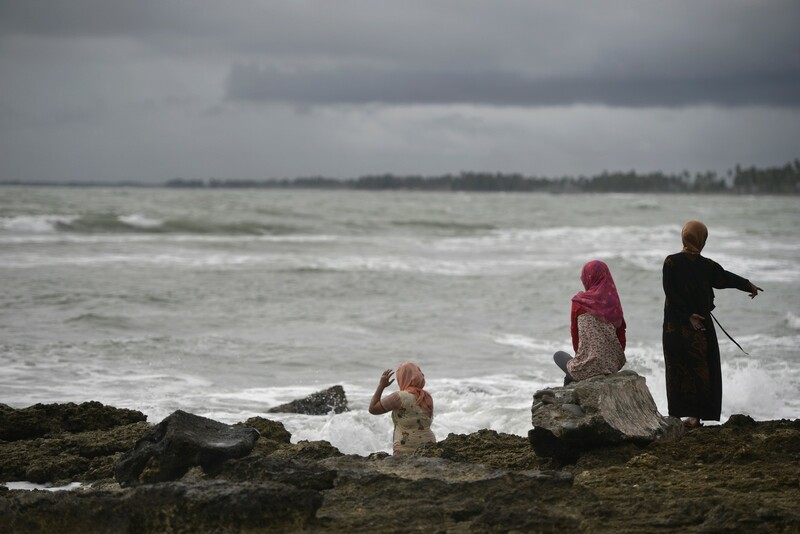 Arif Pratama Rangkuti (middle, in yellow), now 17, and Raudhatul Jannah (second from right), 14, were swept away by the devastating 2004 tsunami. Their father Septi Rangkuti (third from left), 52, who remembered putting them on wooden debris to float, was too depressed to work for four years. 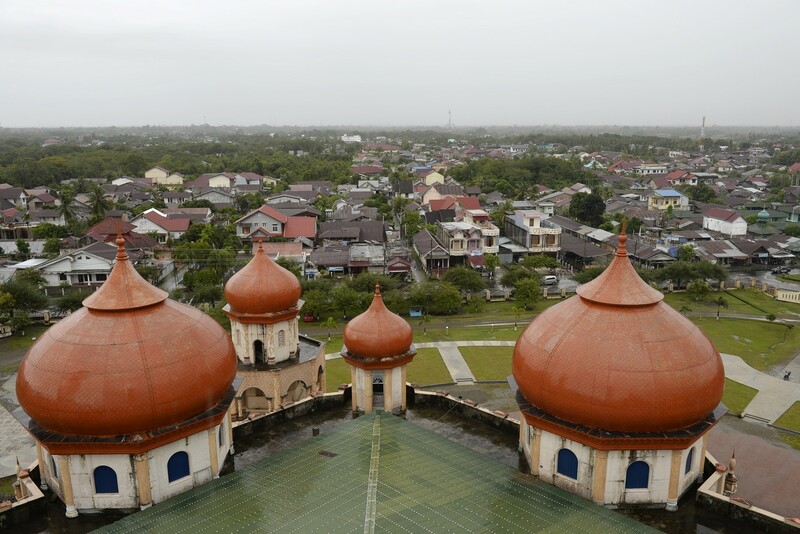 Masjid Agung mosque in Meulaboh. 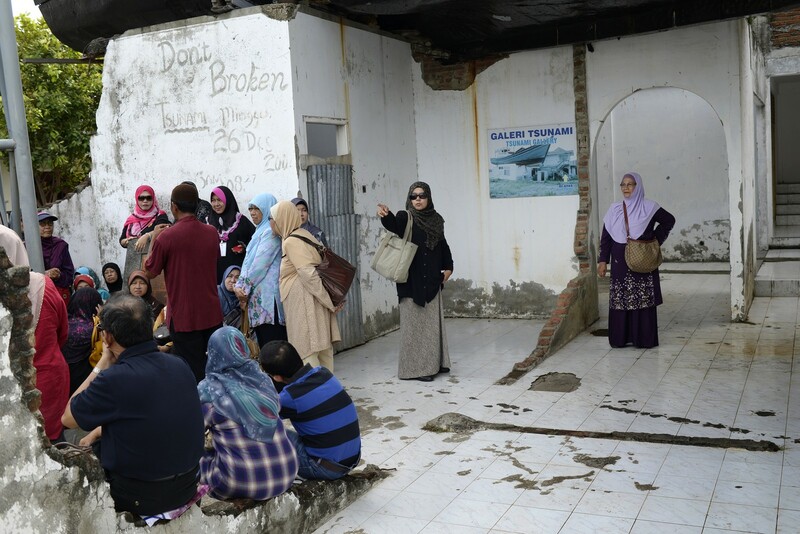 The mosque was a place of refuge for displaced residents during the disaster 10 years ago. 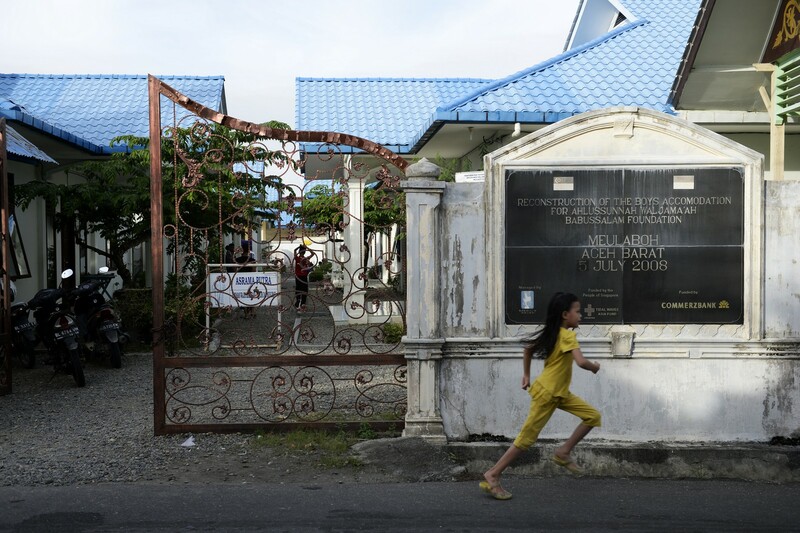 A girl runs past the entrance of the Babussalam Boarding School in Meulaboh. The rebuilding of the school was managed by Mercy Relief with funding from Singapore. 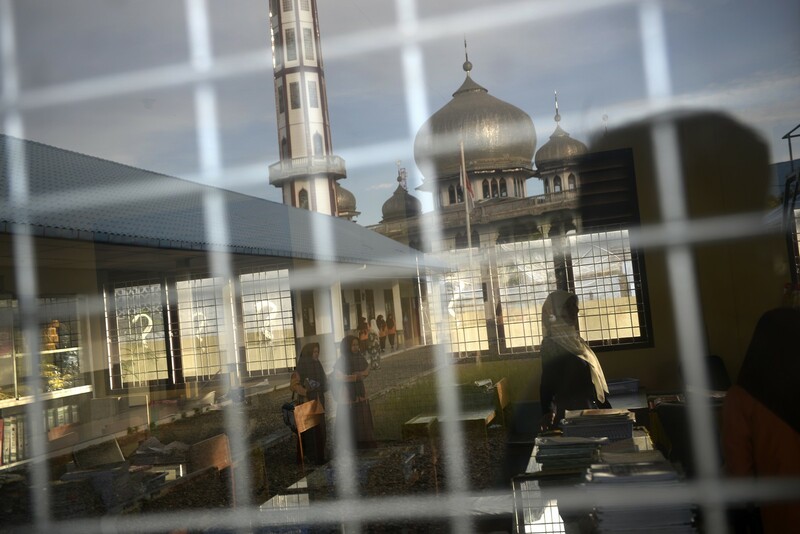 Students attending a lesson in the Babussalam Islamic boarding school in Meulaboh. Boys play a game of football at the Babussalam Islamic boarding school in Meulaboh. 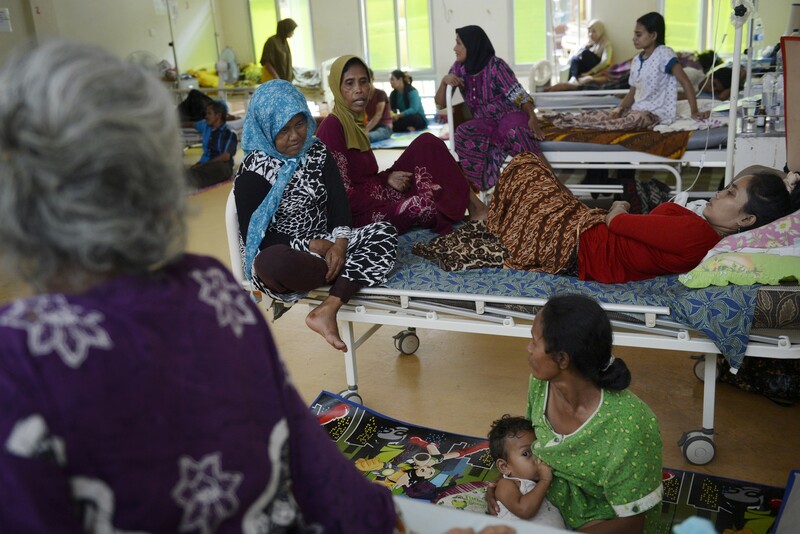 Life has moved on, 10 years after the devastating Boxing Day tsunami. Singapore scenes adorn a wall in Muhammadiyah orphanage and boarding school in Meulaboh. 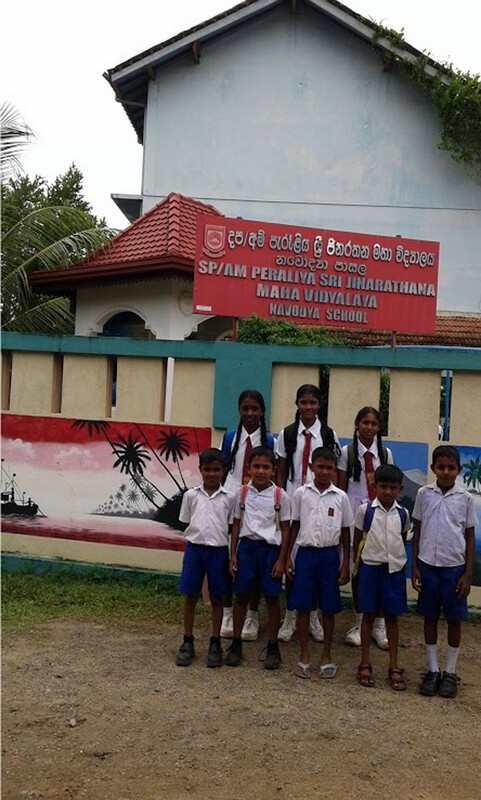 The school was rebuilt after the tsunami with Singapore’s help. Fishermen mend their nets at the Kuala Bubon fishing village in Meulaboh. Anglers fishing on a jetty in Meulaboh that was rebuilt, after the old jetty was completely destroyed by the 2004 tsunami. Paddle boats shaped like swans sit in the waters off a beach in Banda Aceh. Vehicle workshops used to stand on the beach but they were completely destroyed in the tsunami. Men praying during afternoon prayers in a mosque in Meulaboh. A football match brings smiles to men in a Meulaboh coffee shop, known locally as “kopi warung”. Watching football and drinking coffee are the main pastimes in Aceh. A girls’ class at Meulaboh’s Babussalam Islamic boarding school. A street hawker grills corn on a beach in Banda Aceh that was ravaged by the tsunami. It has since become a popular recreation spot for locals. Locals go about their daily business in Jalan Nasional, one of the main arterial roads in Meulaboh. In less than 10 minutes, we are staring at an impressive double- storey house with a blue-and- gold-flecked iron gate. It's unlocked but no one seems to be home. Unperturbed, Mr Selvan takes off again, muttering that she must be visiting her mother nearby. We follow him and a couple of barefoot children tag along, asking for chocolates. Suddenly, we turn a corner and there she is, squatting by the roadside, chatting cheerfully with a group of friends. I cannot believe my luck. This is serendipity. As I smile at Ms Vijaylalitha Kandan, 35, and wave the photograph at her, recognition dawns immediately. 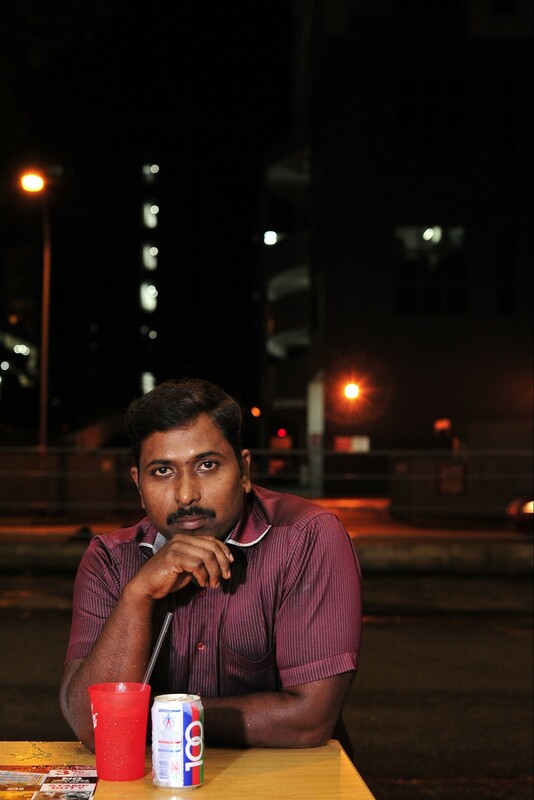 "Singapore pattirikayalar," she exclaims, using the Tamil word for journalist. When we first met a decade ago, the young mother was on her haunches, sifting furiously through wet debris in her wrecked thatched hut, searching for the phone number of her husband, B. Kandan, 36, an electrician in Singapore. 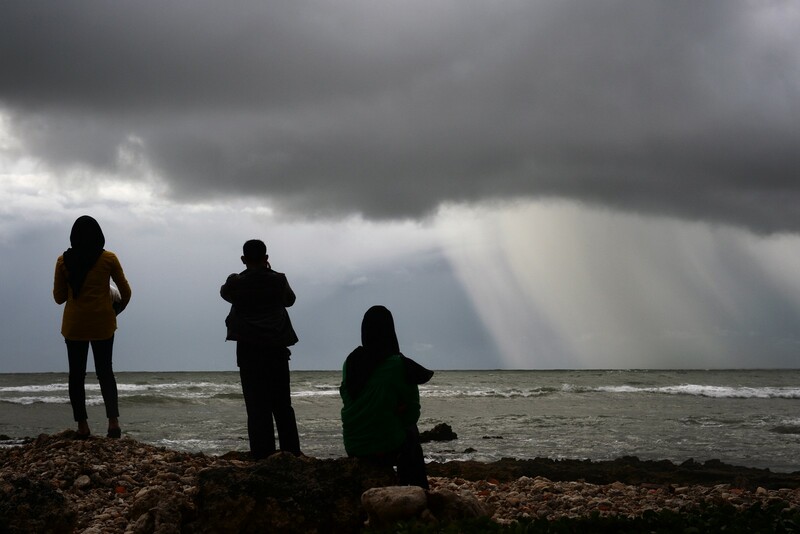 Although he knew that his family was safe, he had no idea that their home had been destroyed, their cash and worldly possessions all consumed by the turbulent tide. 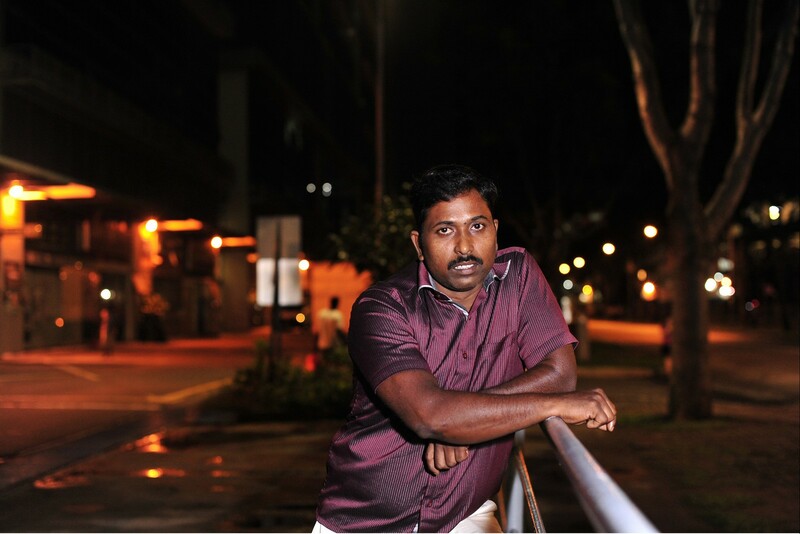 The Straits Times ran a pair of stories and photographs about the couple's plight, describing the homeless mother with two young sons in India, and her husband's anguish at being unable to go to his family - he was too poor to leave his job in Singapore. Their story struck a chord with readers of The Straits Times immediately. Thanks to their generosity, Mr Kandan was able to go home by mid-January 2005, armed with an air ticket, a bagful of clothes and around $7,500 in cash. Top on his agenda: reuniting with his family and starting to build a house that would withstand the waves, should a tsunami strike again. 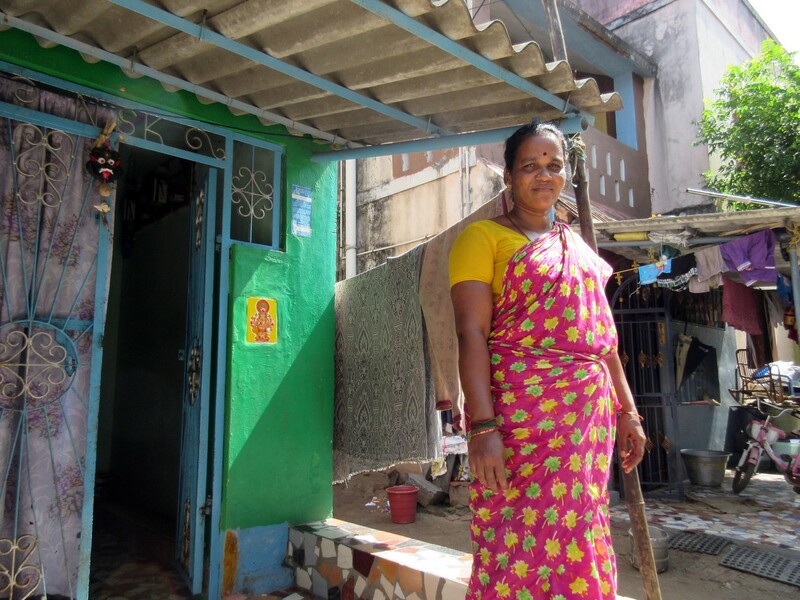 Ten years on, Ms Vijaylalitha, now 35, proudly leads me to her spacious new home, which the family moved into earlier this year. The mud floor of a decade ago has been replaced by polished granite. Instead of the crude thatch door, she has an ornate wooden one carved with an image of the elephant-headed Hindu god Ganesha, the harbinger of good luck and prosperity. The house is a good 15-minute walk from the sea. 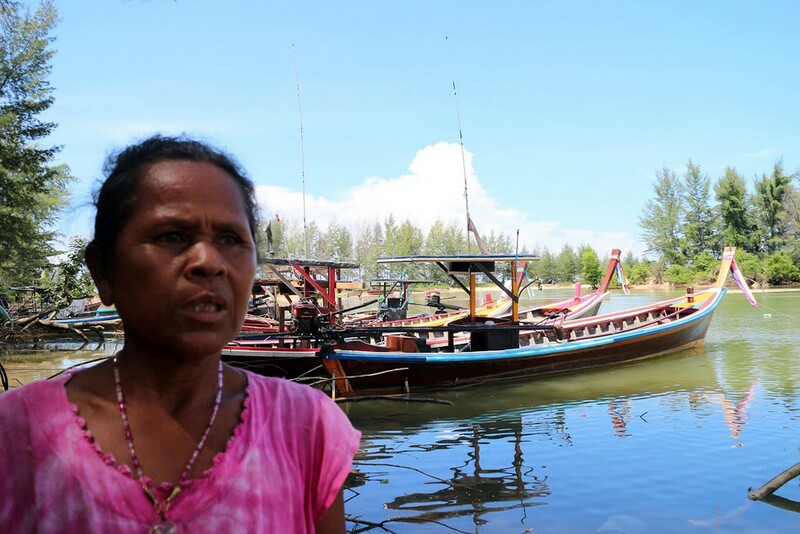 "I never want to live on the beach - it's too dangerous," she explains. 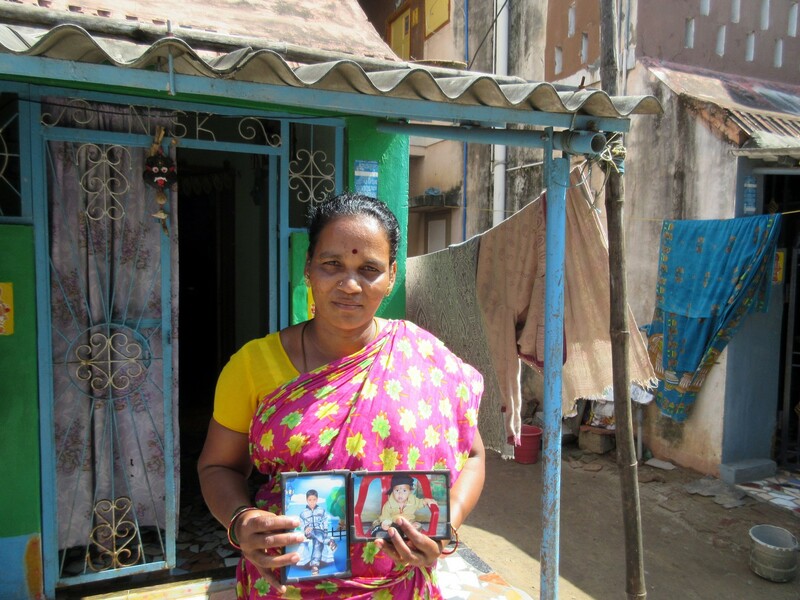 These days her biggest preoccupation is to ensure that her two sons, Abhi, 14, and Ashwin, nearly 11, get a good education. Both go to a private English medium school, funded by their father's hard work. "This house and their education - that's all we spend our money on," she says. 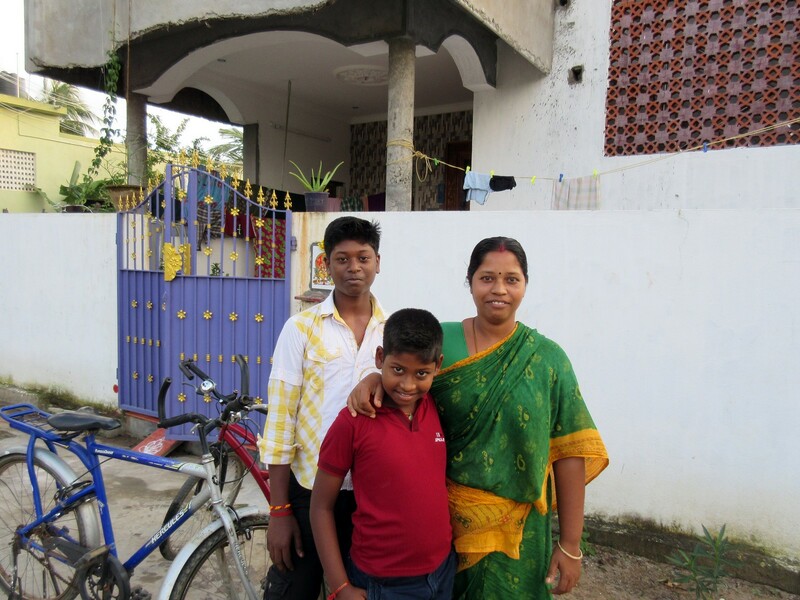 Abhi, who will take the Indian equivalent of the O levels next year, dreams of becoming an engineer. His father is still in Singapore.